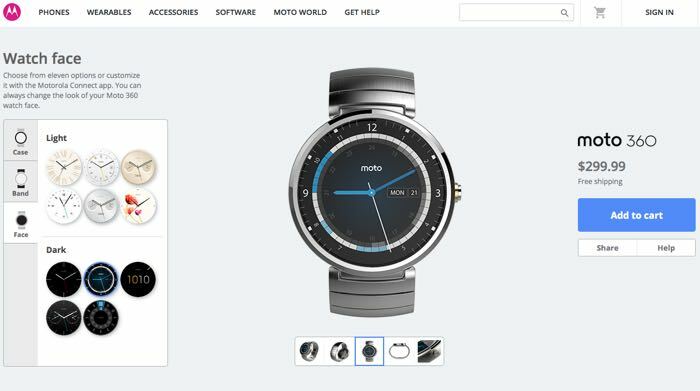 Motorola has announced that their Moto 360 smartwatch is now available in Moto Maker and you can now customize the watch with a number of options. 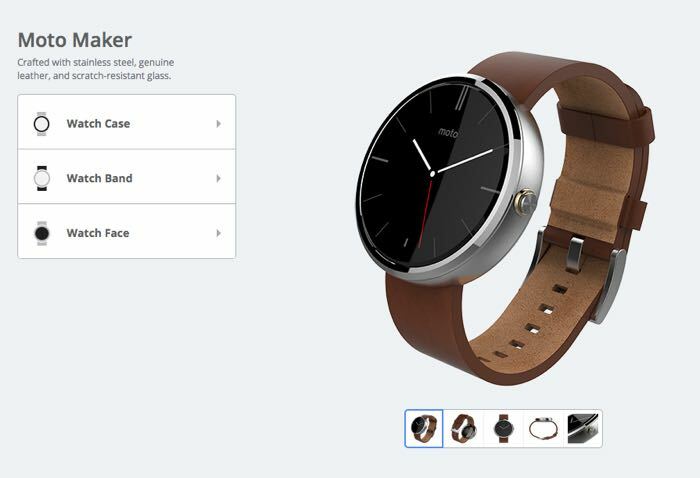 The customization options for the Moto 360 smartwatch include a choice of nine watch bands which include a range of material like leather and gold, plus the company’s new ‘mono-link’ design. There are also a choice of three different metal finishes to choose from, these include champagne gold and light and dark metal. On top of that you can pick one of 11 different watch face designs which will be on your watch when you open the box, you can also download a range of different watch faces for the device from Google Play. 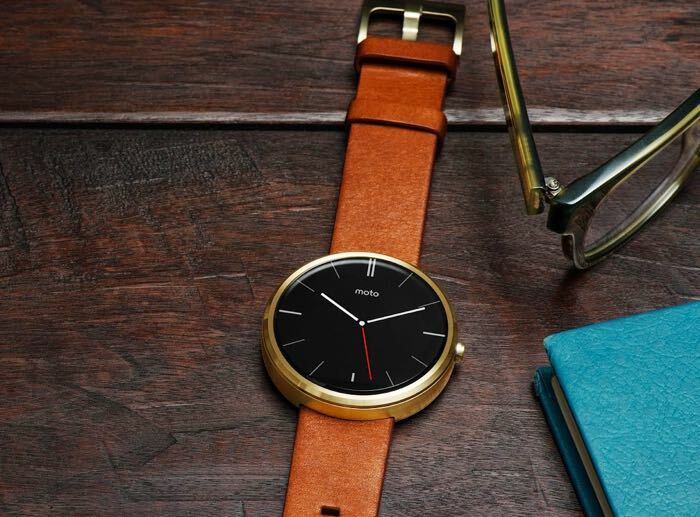 Prices for the Moto Maker versions of the Moto 360 smartwatch start at $249 for a stainless steel finish and a leather band, if you go for the champagne gold finish this will cost you an extra $30. The metal bands on the Moto 360 will cost you an extra $50, there are three versions to choose from, an 18mm metal band in light metal and champagne gold, a 23 metal band in light and dark metal and also champagne gold. The new Mono Link bracelet is available in one color silver and this one measures 24mm, although Motorola has this version listed with delayed shipping, so it may take a while to get your watch if you go for this option. 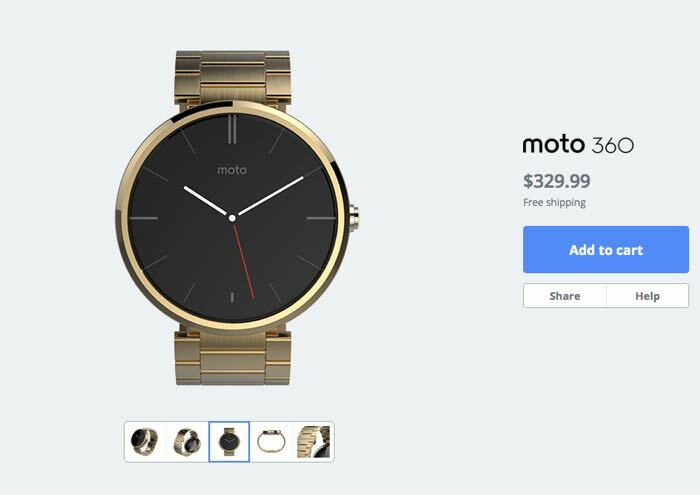 So prices for the custom Moto 360 smartwatch start at $249 and if you go for the top option with the gold casing and a metal band this will cost you $329, you can find out more details over at Moto Maker at the link below.